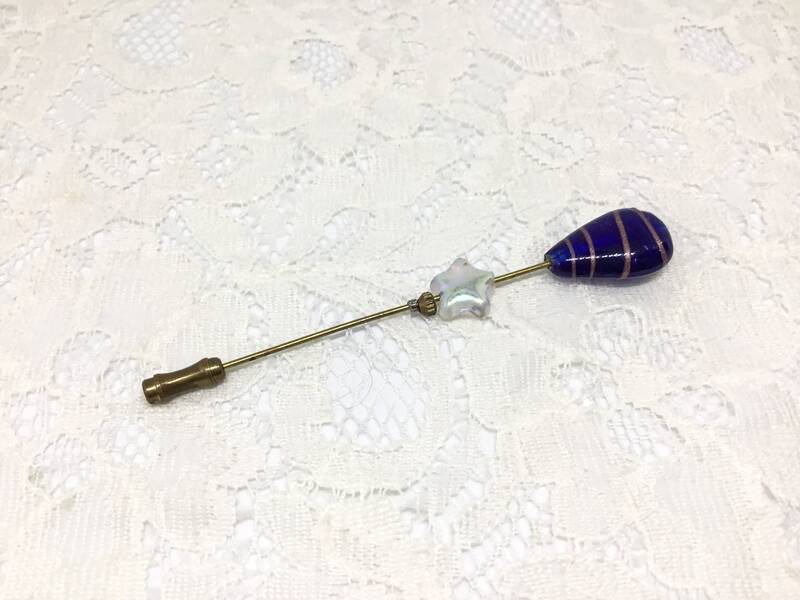 This is a wonderful vintage goldtone stickpin that is adorned with two Art Glass beads. One is a glass opalescent star and the other is an upside down teardrop of blue glass encircled with four gold stripes. 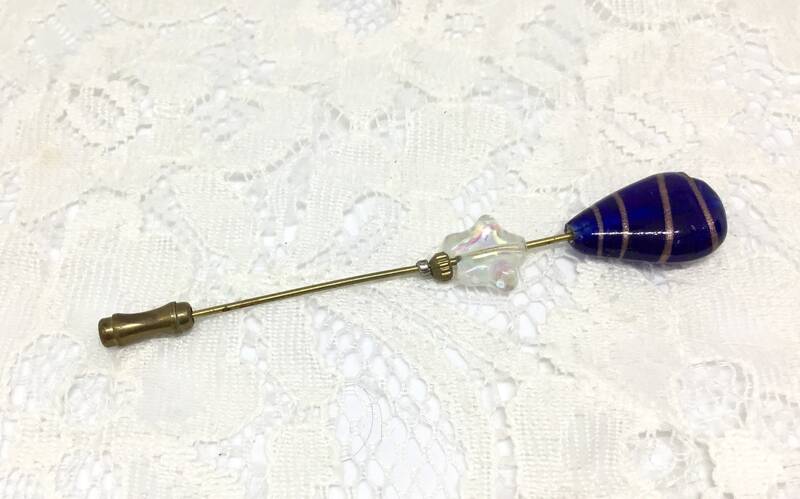 The two glass beads move up and down within a 1/2” space. There is a stopper to keep them from moving too much. 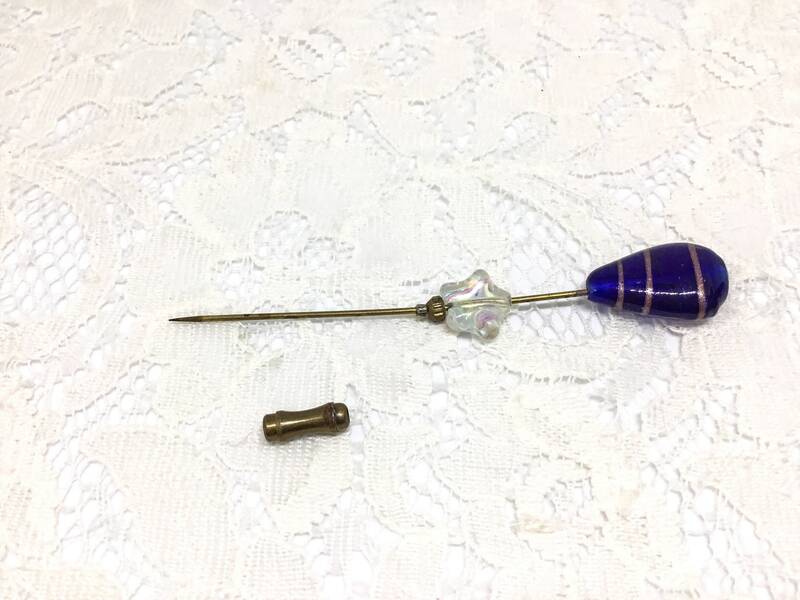 There is a very small amount of vintage wear to the actual stickpin and the Art Glass is in excellent condition. It measures 3 1/2” long. 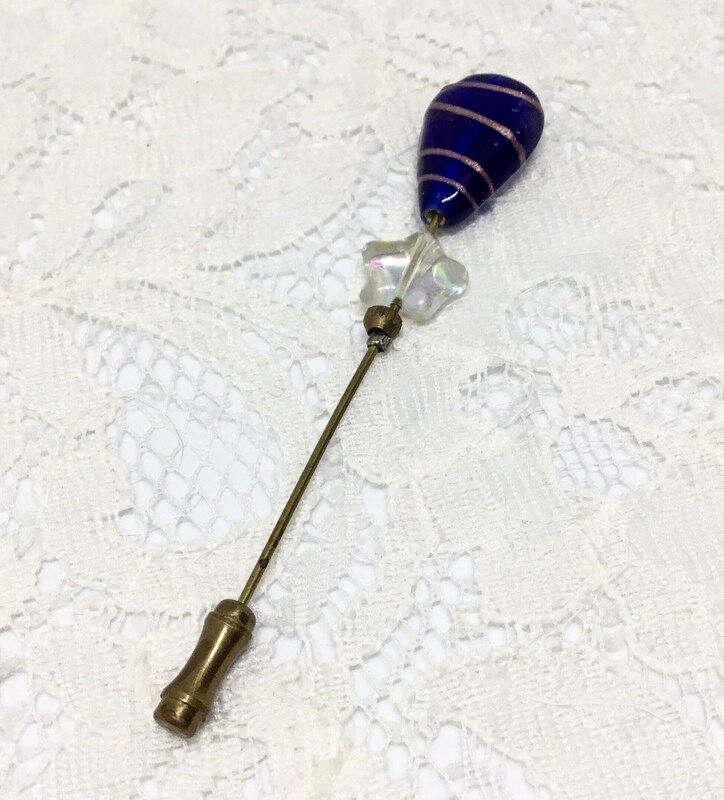 A great unique look to wear on s lapel or sweater!